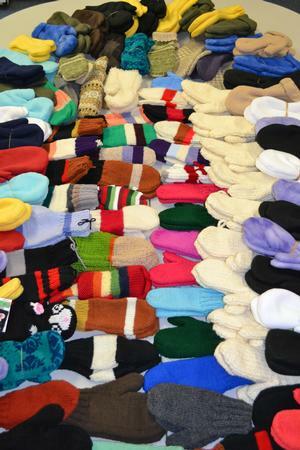 “Warm Hands” is our mitten ministry here at Divine Mercy. Mittens are made in a variety of ways. Some are knit or crocheted, others are sewn from fleece or shrunken wool on a machine using a simple pattern. We also collect new mittens from parishioners who aren’t crafty. The mittens are donated to Milwaukee Rescue Mission, the largest homeless shelter in Wisconsin. They serve approximately 200 homeless per day. This ministry began in February of 2012. Already, we have donated 230 pairs of mittens to MRM. September through May at the Parish Office. Members of this ministry work in their own homes. The meetings are scheduled for dropping off work, collecting more materials, and of course, fellowship. This ministry is creative and flexible. New patterns, along with new members, are welcome! Donations of yarn, fleece, and 100% wool are appreciated and can be dropped off at the Parish Office. Next Mitten Ministry Meeting is. . . Please watch bulletin for dates. Parish Office Conference Room at 695 College Ave.